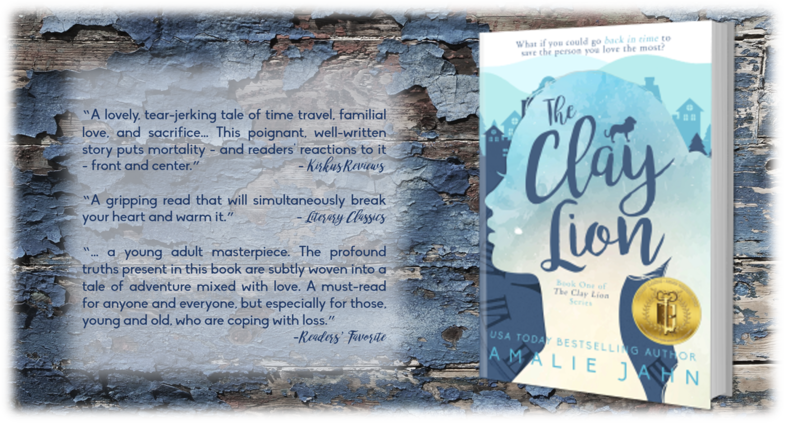 As Brooke faces existence without her beloved brother, his life cut short by a rare disease, she can think of only one solution - travel back in time to prevent his death. However, her attempts at fixing the past challenge her to confront everything she believes to be true about herself. And ultimately, she is forced to discover whether or not we can ever truly be in charge of our own destiny. I heard it through the wall from the other room. It was faint at first, then came on a little stronger. For a moment, I allowed myself to believe the sound was imagined. My breath caught, hoping it was in my head, but then I heard it again—the low cough that always came. I knew better than to go to him, but my feet sprang into action before my brain could object. In the dimness of the upstairs hallway my vision swirled as the world imploded around me for the third time. Outside his door, the full ramification of the cough’s significance cemented me to the floor, and I braced myself against the wall. It was over. The end of the dream for all of us. He coughed again as I stood at his open door, marveling at the sight of him. He was lounged across his bed with a book in his hands—the way I often found him—probably reading historical nonfiction for his world history class. He was a voracious reader, that fact had never changed. I studied his face—with his cheeks that were slim but not chiseled—while he chewed at his bottom lip, attempting to make sense of something in the text. He didn’t know I was watching, which made the moment all the more special, until the cat meowing at my feet alerted him to my presence. “Whatcha’ doin’?” he asked, without looking up from his book. I tried returning his smile but something in my expression must have given away the truth. When our eyes locked it was as if he could see right through to the core of my soul. Oh, brother, I wanted to scream. I’m about to lose you again. Only this time even the hope of you is lost, and I can’t begin to explain it to you. But instead of responding, I averted my gaze and climbed onto the bed with him. We sat there, side-by-side, heads resting against the headboard, staring ahead, not at each other. He was so close I could feel his warmth, and it was all I could do not to reach out. Not to confess to him about everything we were about to go through together and the truth about the cough. Several seconds passed, and when he finally accepted that I wasn’t going to willingly share what was bothering me, he tried another tactic. “Doodle Beetle,” I answered quietly. “Yeah. The Adventures of Doodle Beetle. I loved those books. I wonder if we still have them around somewhere?” He glanced in my direction, gauging whether or not I was ready to talk. The precious gift of the shared memory combined with his dogged perseverance put a smile on my face. Of course, the memory was more than just a reminder of everything I was about to lose—it was a grounding point tethering me to this particular space and time where we were still together. A confirmation that our childhood remained intact, even as our future together seemed unlikely. This final realization of my failure settled like sand into my lungs as he coughed beside me. Once. Twice. Three times. I rolled my eyes, scooting over to appease him, not from fear of some unknown virus. One thing I knew for certain was that his cough was not contagious. I could tell him about it now. Warn him about the future. Admit to my own failure. “You think Mom has any cough drops in her bathroom?” he asked. I opened my mouth to respond but before I could reply, he swung his legs off the bed, crossed the room in two strides, and disappeared into the hallway. The opportunity to confess passed me by. The moment was gone. Forever. I returned to my room and sat at the desk, not knowing what to do. Out the window, the trees were beginning to bud in the forest just beyond the edge of our yard. Tiny patterns of pink and gold played in the barren branches. The beauty of new life. Trees are amazing, as is so much of nature. They know when it’s time. Time to grow. Time to sprout new buds. Time to lose their leaves and go dormant for the winter. It all has to do with the amount of daylight the leaves receive on any given day. During the summer, the sun shines on the leaves for fifteen hours a day, giving the chlorophyll plenty of sunlight to produce the glucose the tree needs to survive. But by autumn, when there’s far less sunlight, a chemical reaction forces each leaf to close the trap door at the base of its stem connecting it to the branch. Once the trap door shuts, glucose can’t exit the leaf and water can’t enter. The green chlorophyll dies off and the true beauty of the leaf is momentarily revealed before it breaks from the branch, falls to the ground, and dies. As it was for the leaf, so it would be for my brother. His time was coming yet again. I was almost positive that whatever needed to change to reset the outcome had surely taken place, but if the cough was any indication, that wasn’t the case. In time, my brother would die. I’d failed to stop the inevitable. The only question now was whether I’d have the courage to stay and watch it happen again.